When building a new home you have many choices to make when it comes to your roofing. Trust your local experts. Your roof is one of the most important parts of your house, protecting you and your family from the elements and preventing damage to the inside of your house. Unfortunately, most homeowners don’t think about the roof unless there is a visual problem or water leaking. Your roof is like the rest of your house and nothing is guaranteed to last forever. Your roof will need repairs, maintenance and even replaced many times during the life of your home. At Triple K Roofing, our team of experienced and local roofers provides complete residential roofing services throughout Eastern Idaho. What we offer includes new construction and installation, roof repairs and general maintenance, as well as reroofing and retrofitting. Our skilled tradesmen are qualified to help you pick the best roofing materials so that your roof can withstand the weather and protect your home from leaks and structural damage. We are also experienced in all residential roofing types. With over 28 years experience, we have seen it all. Whether your roof is made of metal, tile, or asphalt, you’ll have the peace of mind knowing that our team is on the job, increasing the safety and durability of your roof. 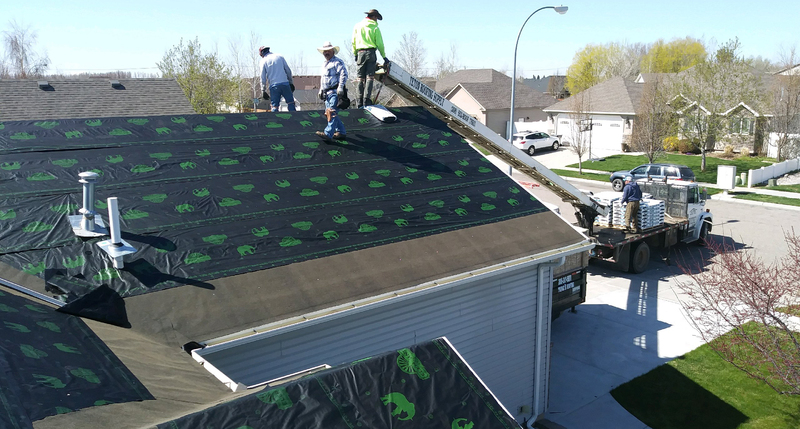 At Triple K Roofing, our premium residential roofing services ensure that your roof is free from leaks and structural damage, and is better prepared to handle regular wear and tear. Don’t wait for your roof to start leaking; give us a call and let us discuss how we can help you. Our residential roofing services and materials ensure the safety and durability of your roof. Our roofing professionals are available to answer any questions you may have about your roof and our roofing services. Resedential roofing replacements & repairs can be costly but with a budget in place, a homeowner can prepare over time to pay for their roofing needs eliminating the surprise of replacing their roof.